10 1/2"h x 14 1/2"w Serving Tray made in USA of food grade Polystyrene Plastic. BPA free and highly visible for product display, hospitals, hotels, branding and packaging. 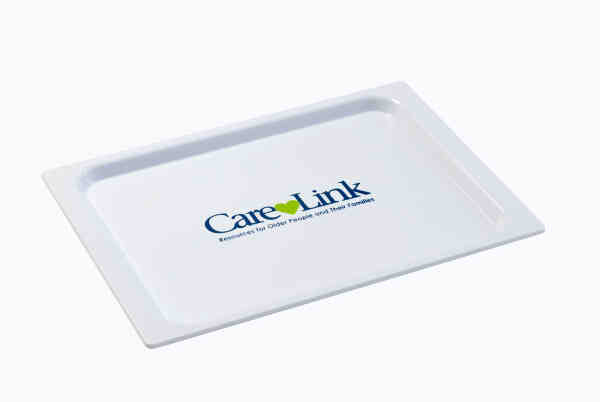 Great "Organizer" or small service tray. Size: 10 1/2 " x 14 1/2 "